Buy any jewelry online and get entirely free shipping worldwide! Yes, you read it right. 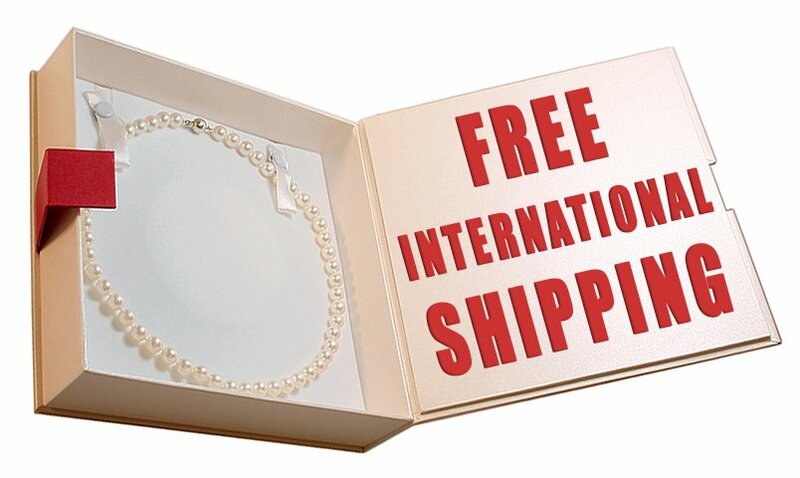 We are now offering free shipping to all major destinations! No matter what you spend, if you live in one of the countries below and several more (including the US, Canada, the UK and most of Europe), we will ship your order for free by International Registered Airmail. That way you can get even more pearls for your money – enjoy it while it lasts! If you need your order to arrive faster than with conventional Registered Airmail, you will find our Express shipping rates to be quite competitive too. Just start the checkout process with your desired items in your shopping cart to find out how much your shipping will cost if you decide to finalize your order. You will find the rates are the lowest for deliveries to Australia, New Zealand, Singapore, Japan and most of South-East Asia, but our deliveries to the United States, Europe and the rest of the world are very reasonably priced as well.